Receipt Bank is an award-winning software add-on that converts all your bills, invoices and receipts into data, making it easy for you to send your financial information straight to your Xero file. 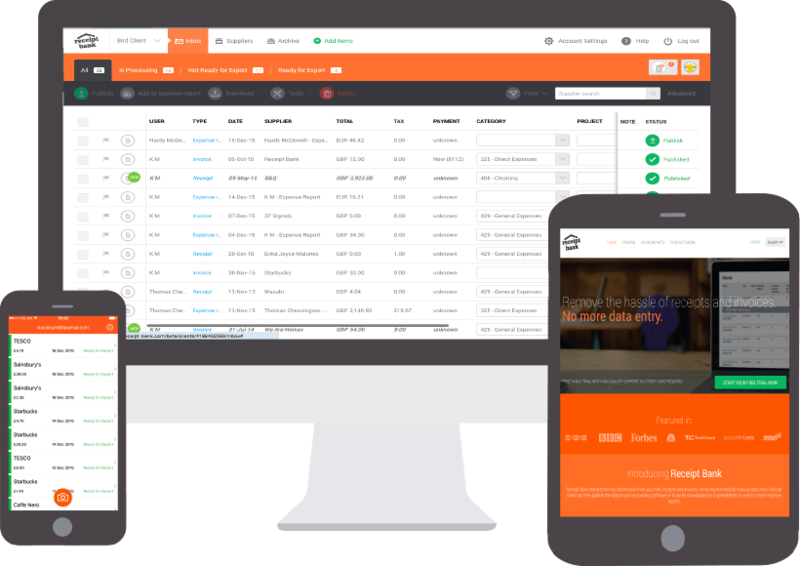 Contact us today to discuss your unique business needs to see how Receipt Bank can streamline your business and improve efficiency. Removing duplication of paperwork and adding professionalism to every job you attend.